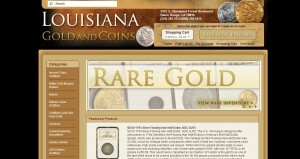 Louisiana Gold and Coins address, phone, website, hours of operation, and more. We offer all types of Gold, Silver, Platinum & Palladium bullion items as well as a great selection of all types of collector coins and sets. Rare collector’s coins are an area that we deal in heavily and keep well-stocked. 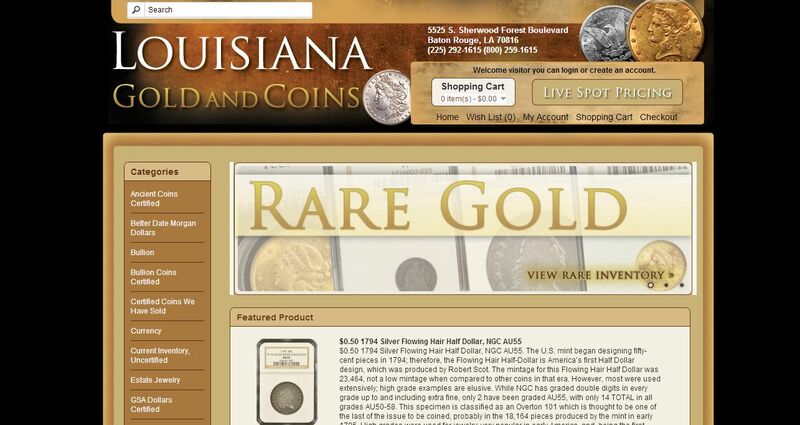 We maintain a deep inventory of coins for collectors, and are aggressive buyers as well. As members of several national teletype circuits, we can often help you find that hard to locate piece. Gold, Silver, Platinum, Copper. Raw or Certified. With satellite-fed computer systems constantly monitoring the active precious metals’ market, we make a liquid, buy-sell spread all throughout the day on the more popular bullion items like Gold & Silver US Eagles, Gold Krugerrands, Chinese Pandas, Silver Bars in sizes from 1 ounce to 100 ounce, Platinum and Palladium coins and bars.